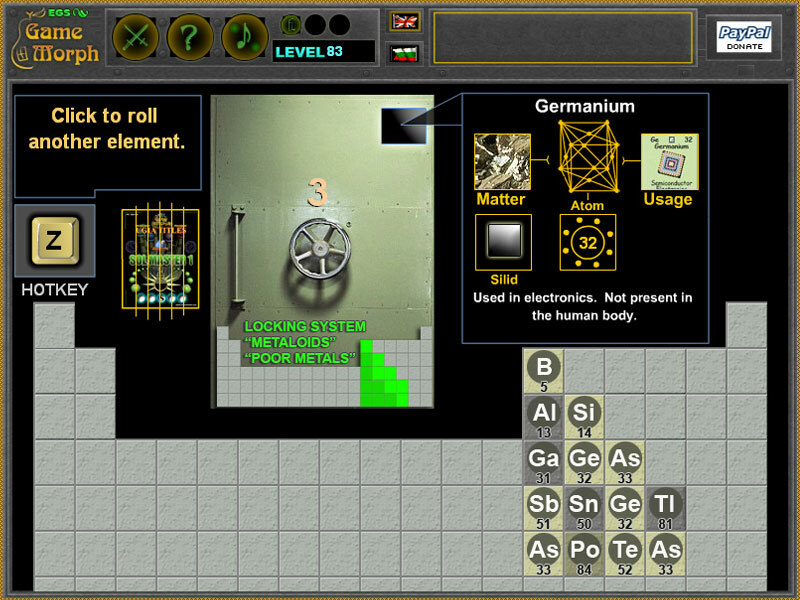 14 Metalloid elements in a fun online chemistry learning game. 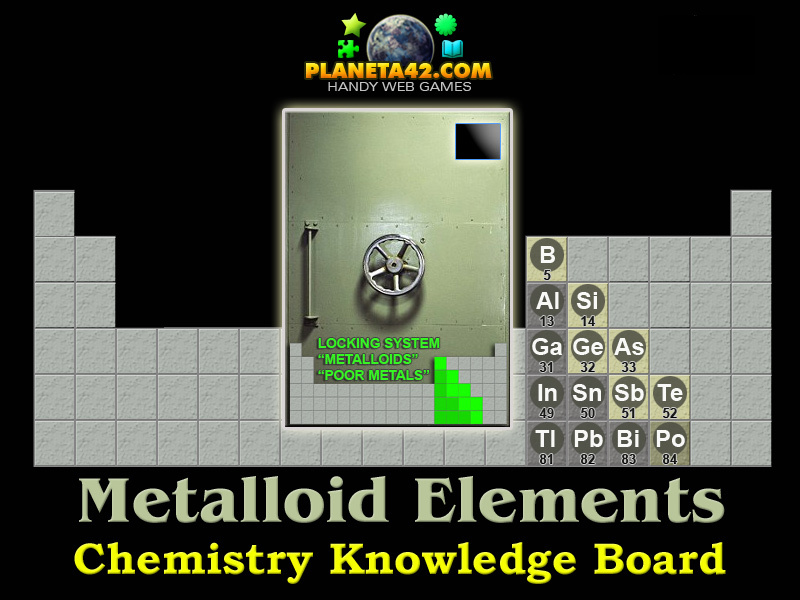 "Metalloids" is a free online knowledge game, used to to explore the Periodic Table. of elements pictures to play with. Part of the Interactive Chemistry Laboratory educational tools. How many Metalloids and Poor Metals are there in the Periodic System? What is the color of Metalloids group? What is the color of Poor Metals group? Where are Metalloids and Poor Metals situated in the Periodic System? Which of the elements are Metalloids? Which of the elements are Poor Metals? Is Aluminium a Poor Metal? Know the location of all Metalloid and Poor Metal elements in the Periodic System. Class subjects: Metalloids and Poor Metals. Boron, Silicon, Germanium, Arsenic, Antimony, Tellurium and Polonium. Aluminium, Gallium, Indium, Tin, Thallium, Lead and Bismuth.